I’d have expected to hate this movie much more than I did but surprisingly, How to Be Single wasn’t exactly a terrible film. That said, there’s not enough presented that would ultimately add up to what I’d call a good film. All we’re left with is just a harmless romantic comedy, that exists because it’s aware what its target audience wants and impressively, it doesn’t insult their intelligence in any manner. It’s a better romantic comedy than most you’d get out of recent years, but whether that says a lot or not is up to you. 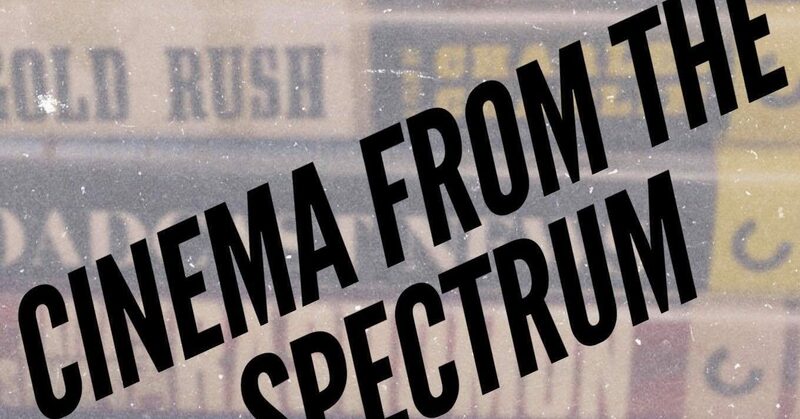 What’s offered is gentle enough to be watchable, but that’s really all it exists for. 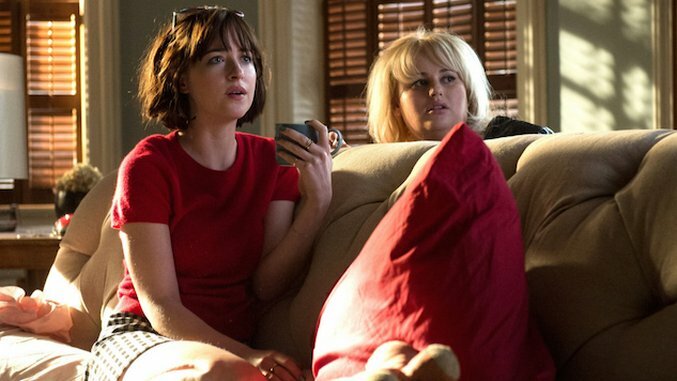 Dakota Johnson and Rebel Wilson leading the way in How to Be Single. We’re told four stories of women living in New York who intertwine one way or another, but the primary focus is on Dakota Johnson’s Alice. She’s a woman searching for a means in order to find her own true self in New York City. Rebel Wilson plays her wild co-worker, Robin, who encourages goes frequently on one-night stands and attends many parties. Also among the supporting cast is Leslie Mann, playing Alice’s sister Meg, and Alison Brie as Lucy, a woman who was at a bar owned by a man whom Robin had introduced to Alice, so here comes in one of the film’s faults. Ultimately, the best asset that the film has going for it is Alison Brie, yet her own character is reduced to a subplot the whole time. You can take out any scene with her, and the main plot of the film which focuses on Johnson, would not be so heavily affected because Brie has no scene of exchange with any of the other leads. It’s especially shameful as Brie, with what she is given, is fantastic, but I come to question what was the point even having her story in the film, if it were in no way linked to any of the rest. My only guess is that the people behind How to Be Single thought that they could stitch in an episode of Community (a fantastic sitcom if you were to ask me) just by having Alison Brie for no reason other than just to be there. That said, most of the film runs fine enough. At least seeing the low standards that have been formed for contemporary romantic comedies thanks to trite such as Love Actually or any holiday-related film directed by Garry Marshall, what’s impressive is how the interweaving for the stories flows nicely (except for Brie’s, for no connection to the other three had been established properly). Together with that, there’s a more natural feeling to how the romance is approached for it doesn’t simplify the idea of what love is, which is what the typical Hollywood ensemble romantic comedy fodder would perform, a big part as to why those films fail so miserably. Fascinatingly there’s very much of a New York vibe that can be felt all throughout How to Be Single which the opening already promises, and it retains that energy all throughout. Much like how Woody Allen’s Manhattan was its own love letter to New York City in its day, How to Be Single uses the spark of what many would love about such a city in order to create a much more lively product. At least with the zest filling up the film, I can’t deny that there was some fun to be had then and there. I’m not particularly fond of Rebel Wilson at least after what impression the Pitch Perfect films have laid on me, but surprisingly I found her quite tolerable in here. Dakota Johnson has her good moments, amidst what we’re watching, but Leslie Mann stood out for me from the whole bunch; mainly because she’s terrible in this role. Alison Brie, for what little she had to do with anything else in the film, is showing the very best that she can with the material at least knowing what liveliness she has on Community, and while she has the most energy amidst all of the cast, it’s rather saddening to see just how much the film decides that it’s going to abandon what she can do. What I expected of How to Be Single was the typical romantic comedy fodder, and it’s exactly that, nothing more and nothing less. While it lasted it’s definitely harmless enough and there’s a chuckle to be found then and there, in spite of some moments creating awkwardness because of the sudden shifts in tone, but seeing how well the film works around these shifts it also finds its own advantage right there. The best advice I can give while watching How to Be Single is just to skip to the best parts, but if you want to see the comedic energy Alison Brie can offer being put to better use, then I’d say just to resort to watching an episode of Community. All you’re getting here is nothing more or less than a mediocre film with an episode of Community randomly stitched in then and there.